We at the Boston Height Veterinary Hospital strive to provide the best possible value in quality medicine to our clients and their pets through surgical, diagnostic and medical technology. We understand the special role your pet plays in your family and are dedicated to becoming your partner in your pet’s health care. We have a highly experienced and friendly staff consisting of kennel pet care givers, an experienced groomer, receptionists, a licensed veterinary technician, and veterinary assistants. Dr. Glenn Thorson became the owner of the Boston Heights Veterinary Hospital in 1994. 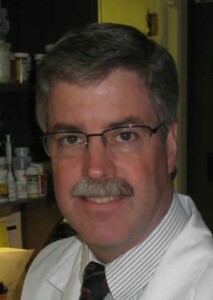 He obtained his Doctorate in Veterinary Medicine in 1986 from The Ohio State University College of Veterinary Medicine. He worked in Pittsburgh at a 24-hour, ten-doctor hospital from 1986 until 1994. He saw and learned a lifetime of medicine in eight years. After an intense session of hyper-veterinary medicine he settled into Boston Heights. Here he enjoys the family atmosphere of the practice. “We treat every patient and owner like family, and they do the same for us.” Dr. Glenn enjoys knowing the entire family as well as caring for their pets! M-T: 8:00 a.m. - 5:00 p.m.
W: 8:00 a.m. - 3:00 p.m.